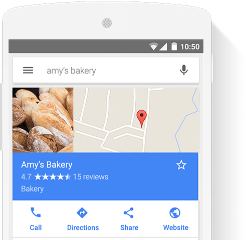 Show your opening hours, phone number and directions on Google Search and Maps – with Google My Business. Get more website visits or calls with ads on Google Search, Maps, Google Display Network*, YouTube and beyond. No minimum spend required. *The Google Display Network lets you place ads on a variety of popular local and global websites as well as mobile apps. Sanwa Pearl & Gems Ltd has built their business with the help of Google Ads. Advertise to people on Google right when they search for things you offer. Show your ads on popular websites and apps. Work as a team with custom email (like joe@yourcompany) from Gmail and productivity tools like Docs, Drive and Calendar. Host your website, blog or online store. Our hosting solutions are easy to use and optimised for fast, reliable performance. Get started with a $300 free credit. Connect and analyse all of your data from multiple sources to better understand your customers and their behaviour. Analyse, monetise and promote your apps. All with one platform. See how your websites, apps and ads are performing.